Hear their new collab, “Drown,” now. It was a couple months ago, when Clairo dropped her cotton candy-tinged visual for "Flaming Hot Cheetos," that people started dreaming about the possibility of a Cuco and Clairo collab. 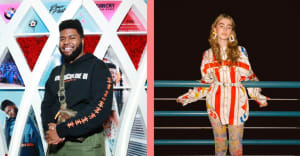 Cuco, the L.A. heartthrob who makes earnest Spanglish love songs, makes an appearance in the very last scene of the video, partying with Clairo and her friends in a diner. That means they must know each other! fans clamored, and by fans, I mean me. Fast forward to a week ago, when Clairo came to New York to play a show for her Lazy Days Tour. It was there I first heard "Drown," her new single with Cuco. Though she prefaced the song with literally nothing, the crowd went wild when his distinct croon came on the venue's speakers. And even with only half the vocals being performed live, it sounded fantastic. Fortunately, the recorded track is now out. It's a sweet little number with soft bubbling synth that’s a plush cushion for both of their fuzzy-around-the-edges vocals to rest on. Sonically, it’s quite day dream-inducing but lyrically the two relay a story about a love that’s falling apart. 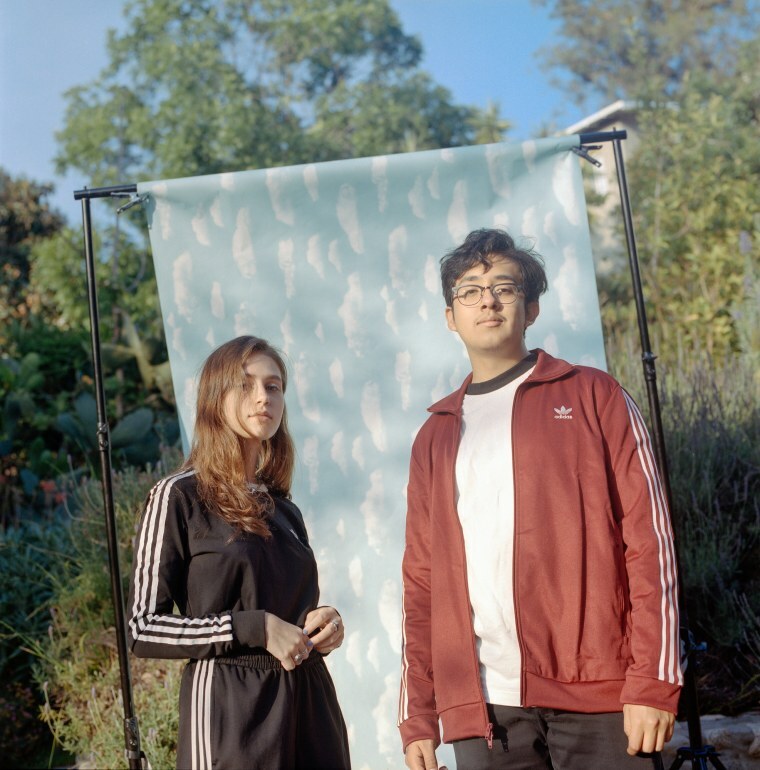 In anticipation of the track's release, Cuco and Clairo shared a behind-the-scenes look at the song-making process, which revealed that the collab, though not the organic affair I had initially assumed, is a part of the Yours Truly and adidas originals' ongoing Songs From Scratch series. In the video, the two reveal that they hammered out the track one afternoon after cracking a couple jokes about Travis Scott’s liberal use of autotune — evidence they're literally making art out of memes. The best thing that one can gleam from the video is how fun their collaborative process is. At one point in the video, Clairo suggests that any song, "can be about something really stupid, but be a really good song," a gentle reminder for anyone who's ever taken the overzealous nature of their songwriting a little too seriously. At the end of the day, the stakes are never actually that high. Let the youths have a little fun!